Finding the perfect gift for everyone on your holiday list or for a special occasion is a great feeling, especially when you see someone’s face light up when they open it. 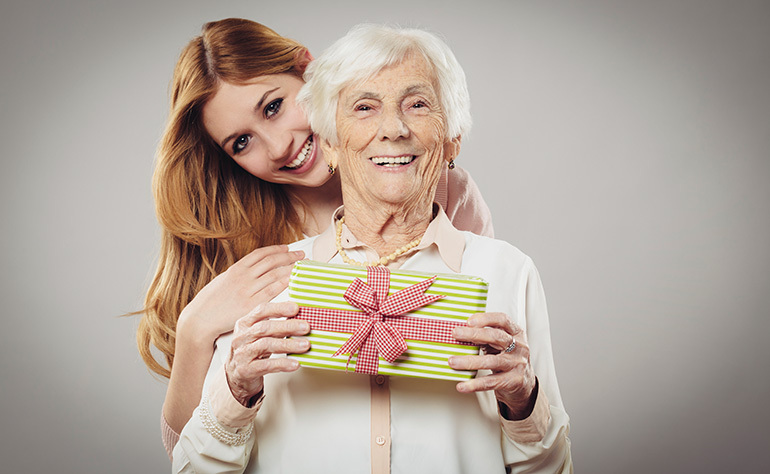 It is particularly rewarding when the gift is for a loved one with dementia. There are lots of great gift ideas for people at different stages of the disease – early, middle and late – that are both fun and practical. Photographs and music are gifts that can revive memories and feelings of joy for people at all stages of dementia. So can the gift of your time, caring and attention. If you or your loved one need a helping hand at home, Bayshore can help. Our caregivers are trained and certified to care for individuals with dementia. Learn more about our Dementia Care services.